Some forms of multiple sclerosis are hereditary after all. After many years of saying that MS is not passed down the generations, new research now says the opposite. Although past studies have suggested that genetic risk factors could increase the risk of developing the disease, up until now, there has been no evidence that the disease is directly inherited. Researchers from the University of British Columbia and Vancouver Coastal Health, in Canada, led by Prof. Carles Vilariño-Güell, report that they have proven that multiple sclerosis can result from a single genetic mutation on a gene called NR1H3. This, they say, produces a protein that acts as an “on-off switch” for other genes. In the study’s results, published in the journal Neuron, the researchers explain that some of the other genes either work to stop myelin-damaging inflammation or create new myelin to repair the damage. Myelin, often described as the protective layer that protects nerve tissues, is the fatty material that surrounds neurons and helps send electrical signals. When myelin is damaged, it disrupts the communication between the brain and the rest of the body, producing well-known MS symptoms including vision problems, muscle weakness, balance issues, and cognitive impairments. The researchers say their findings could help develop therapies that either target the NR1H3 gene or that neutralize the mutation’s effects. 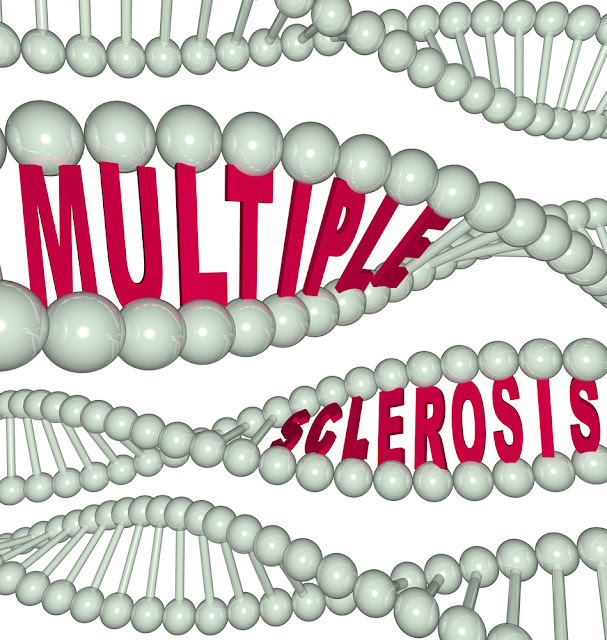 Just 1 in 1,000 people with MS have this specific mutation, according to the researchers. However, the finding uncovers the biological pathway that leads to the rapidly progressive form of MS, which accounts for 15% of people with the disease. The team believes that its discovery could improve understanding of the more common relapsing remitting MS. This is because it typically develops into the secondary progressive type. Following on from the study, the researchers say that screening for this particular mutation in individuals at risk for MS could make it easier to diagnose it earlier and begin treatment before the onset of symptoms. For example, if individuals with a family history of the disease carry the mutation, they could opt to increase their vitamin D intake; low levels of the vitamin have been linked to MS. They found the mutation in two Canadian families in which several members had a rapidly progressive type of the disease. In these families, two-thirds of the people with the genetic mutation developed MS.